The Statistical Institute of Belize is reporting a five point seven percent increase in goods imported into Belize in the month of June. That represents one hundred and fifty nine million dollars more than the same period last year. Imports on items such as premium gasoline, milled rice, condensed milk and processed cheese contributed to the increase, but according to the SIB, direct imports into the commercial free zones fell by as much eight million dollars. 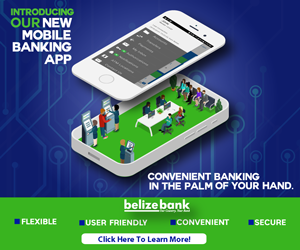 Since the start of the year, Belize’s import bill has grown to nine hundred and fifty six million dollars which is up by more than six percent than in the same period last year. The June 2014 domestic export figures have also been released, showing that for the first time this year exports shot up to sixty-five point five million dollars or twenty percent. The biggest contributor to the increase is sugar with sales of nineteen million dollars. Citrus concentrate remained at seventeen million dollars; sales in marine products and bananas were also consistent. But while imports and exports went up in June, all in all, in the first six months of the year there were significant declines in crude oil, citrus and sugar sales and the value of Belize’s domestic exports declined by seventeen percent to three hundred and twenty million dollars between January and June. The European Union accounted for forty-four percent of receipts. Notably, sales to the US markets went down by four percent. The SIB reports that the cost of living also registered an increase of one point three percent. Figures released show that the increase was due to higher transport and home rental prices, particularly in San Ignacio/Santa Elena, Orange Walk Town and Dangriga. As it relates to utilities, water rates went up while electricity went down. The cost of international airfares and motor vehicles also contributed to the increase in the transport index. Food prices also went up slightly in June due to a shortfall of cabbage but SIB is reporting a drop in the prices for rice, cereals, pasta and eggs. The lowest inflation rates were recorded in Punta Gorda and Belize City while prices went up in the Cayo District by a two point four percent.